Dictionary Offline – Dict Box is a Books & Reference android app made by EVOLLY.APP that you can install on your android devices an enjoy ! 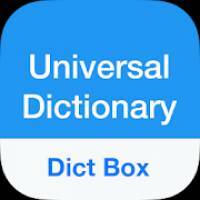 Dict Box – Dictionary & Translator App for All Languages. – Fast & easy to use. – Pronunciation for any text. – Translate word by camera. 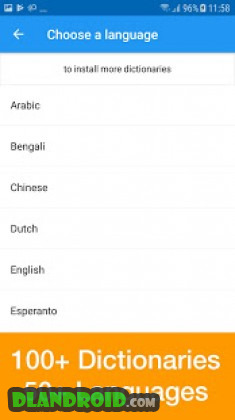 – Translate text directly in web browser and other apps. – Word correction for mistyped words. – Ability to find similar phrases or sentences. 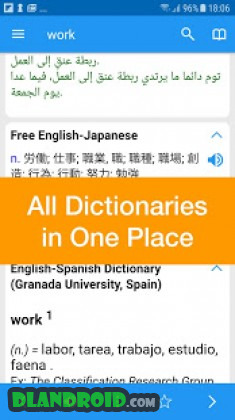 – Ability to install more dictionaries & more languages. – Web dictionaries (Oxford, Cambridge, Wiki, etc). – Review words with Flashcards. – Synchronize word lists across multiple devices. Please update, thanks in advance.